We offer complete entry door system solutions with components designed to work together to provide security, energy efficiency and reduced air and water infiltration for longer-lasting, higher-performing entryways. It’s more than the door. 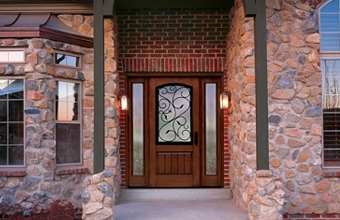 Our door systems are the top choice of builders, contractors and homeowners. From innovation and design, to testing and warranties, our systems are engineered to work together to meet our high specifications for smooth, reliable performance. Adjustability allows for an air-tight seal with door bottom to prevent moisture damage on inswing applications. Outswing installations utilize a high-profile composite outswing sill. Composite material won’t rot, warp or split. Heavy-duty hinges with ball bearings between each hinge pivot, or “knuckle,” provide more support, stability and smoother performance. Made of durable rot-resistant material that helps prevent moisture-related rot, insect damage, warping and twisting. Proprietary adjustable security strike plate withstands up to three times the force of a standard strike plate. Choose from a painted scratch-resistant aluminum clad (available in 16 colors), or a stained solid hardwood to match or complement your door. A continuous head and sill gives a clearer, stronger appearance on sidelite mull units. 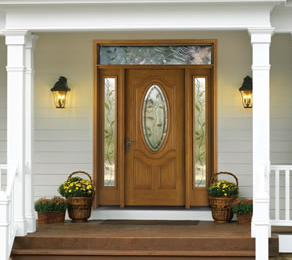 Interior wood casing available in Pine, Poplar, Oak or Mahogany finished to complete your entrance system. 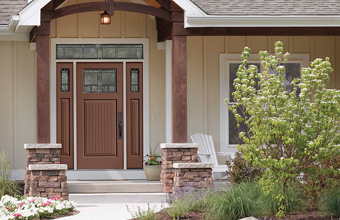 Our entry doors are accompanied with a complete system of components that were designed and engineered to work together to provide lasting performance, security and energy efficiency. And all this is backed by a full system warranty. 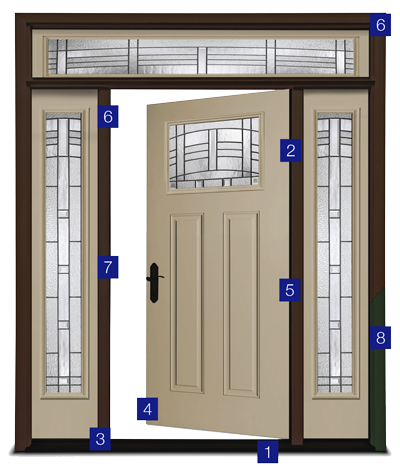 Our top-of-the-line product, the Classic-Craft® family of doors, features solid wood edges, embossment details and more than 26″-wide center panels. 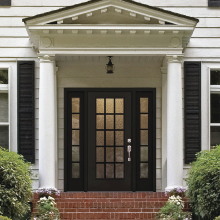 Classic-Craft® doors are available with premium hard wood graining brought to life by our patented technology or with a smooth, paintable surface for a sleek, modern look. 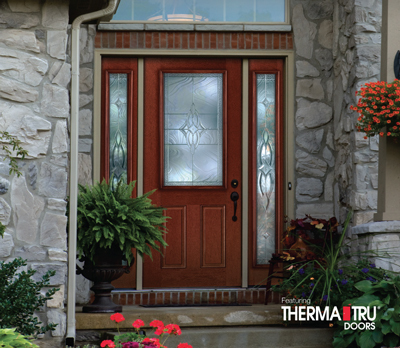 The industry’s first fiberglass door. The line features two collections—Mahogany and Oak. With both, you can customize your entryway with doors that embody deep, wood-grained detailing for a look that delivers beauty and elegance that will stand the test of time. 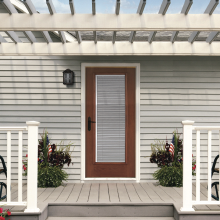 Smooth-Star® doors are the perfect answer when the best look for the home is delivered in a sleek paintable package. 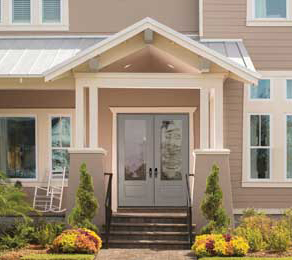 The more attractive and durable alternative to steel, Smooth-Star® entryways are ready-to-paint with crisp, clean contours that resists dents, dings and rust. 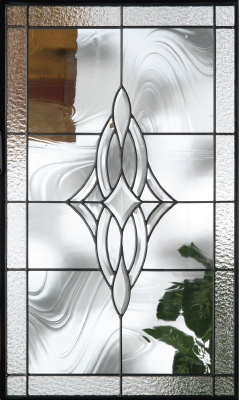 Clear Low-E glass can be fitted with a variety of divided lite options or cordless internal blinds to tailer the look of your entryway. Factory-coated Clear Low-E glass delivers exceptional energy efficiency that can help to reduce energy costs. 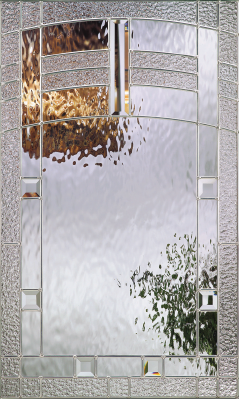 Grids between glass (GBGs) can be customized with contour or flat bars and three color options to complement wood-grained, stainable, smooth and paintable doors and sidelites. 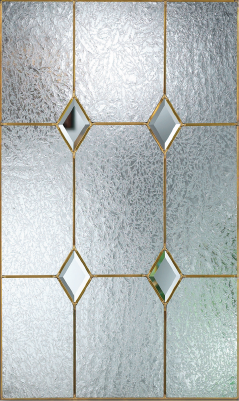 Grids are thermally sealed between two panes of Clear Low-E glass allowing for easy cleaning. 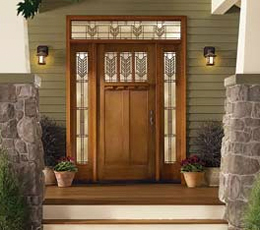 Ready to update your home with a new, curb-appealing entry door? Contact us today to schedule your free in-home estimate!